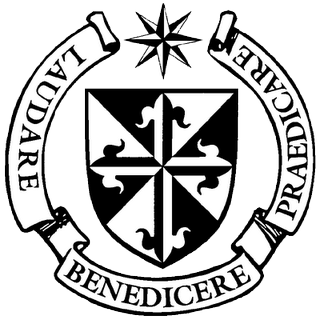 The Immaculate Conception Group are members of the Order of Preachers, aka “The Dominican Laity” and we are members of the Southern Province of Saint Martin de Porres. There are many provinces throughout the world, which together comprise the Order. The Order of Preachers was founded in 1216 by St. Dominic de Guzman in response to a then desperate need for informed preaching. 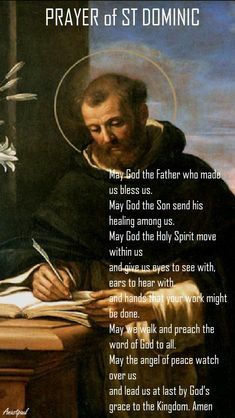 Against a heresy which denied the dignity of our humanity, St. Dominic trained a group of preachers who would serve the Church in its affirmation of the world as the place where Christ is discovered. The chief motivation for our common life is to live together harmoniously, seeking God with one mind and heart. Our life as Dominicans is ordered by regular observance, which includes the evangelical counsels, common life, the celebration of the liturgy, and private prayer, as well as assiduous study and apostolic ministry. We are now accepting new inquirers to the order; The Order meets the third Sunday each month in the Parish Library at 2:00 pm. Please call for more information. Join our group for Thursday evening Vespers in the Church at 4:00 PM. ALL ARE WELCOMED. How do you start praying the Liturgy of the Hours? The Immaculate Conception Group, Dominican Laity Invites you to learn to pray the Universal Prayer of the Catholic Church, The Liturgy of the Hours. Bring your book if you have it, The Liturgy of the Hours or The Christian Prayer Book. (If you don’t have a book come anyway, we have some to share.) For more information please Contact Tina Johnson, OP at 870-424-2832 ext 2; Eileen Olwell OP at 870-425-8525; or Kathy DeGroot OP at 870-491-7556.